There are a lot of movies that blew us away at this year's South by Southwest Film Festival, but for this writer's money the greatest discovery was Joe Swanberg's Drinking Buddies. It's about two coworkers and best friends, Olivia Wilde and Jake Johnson, who are so unbelievably compatible that they should clearly be in a relationship together. They're not, though. Wilde is with Ron Livingston and Johnson is with Anna Kendrick. Given the title and that briefiest of descriptions, you could picture this being a gritty indie drama. It isn't. Here's part of my review out of SXSW: "The title might imply that it's about alcoholism and addiction, but it isn't. It's not about having an affair or even about lusting after your coworkers. Drinking Buddies is about perspective and how two friends who are perhaps too close to one another can lose it. It's smart, funny, charismatic and, above all, resonant." 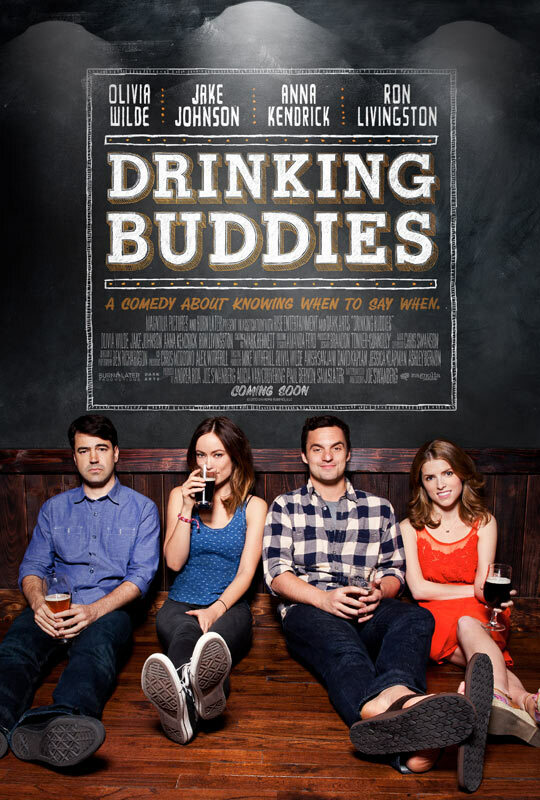 Magnolia opens Drinking Buddies in theaters on August 23, 2013. You'd do very well to keep your eye on it. Here's the first trailer to give you a taste.